The producers of the "Great Ships" on the History Channel not only filmed much of their program using our collections, but they also called them a "Gold Mine!" 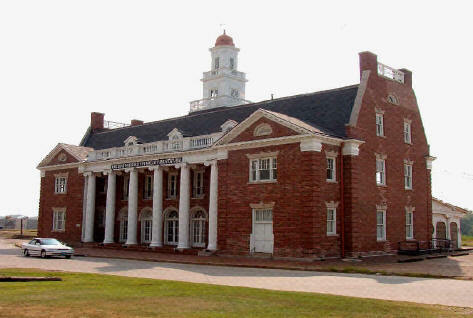 A national military and inland waterway museum and resource center. A walk through the Old Depot Museum is a walk through military and maritime history. Ships and boats long forgotten come to life in exact replica. War Between the States Gunboats! Within the walls of our museum, the Steamer Sprague, Big Mama of the Mississippi, lives again. She is joined by hundreds of vessels from every period in United States history. From the strange dragon-headed "Western Engineer," to the famous racing "Robert E. Lee" and "Natchez," to the earliest submarines and latest fighting ships. New models are being added every month from some of America's best model makers. "If It Floats, Put A Cannon On It!," features ships that fought on the Mississippi River during the Civil War. "They Also Fought" includes submarines, blockade runners, Confederate raiders, ironclads, tinclads, wooden gunboats, and hospital ships in the Civil War. 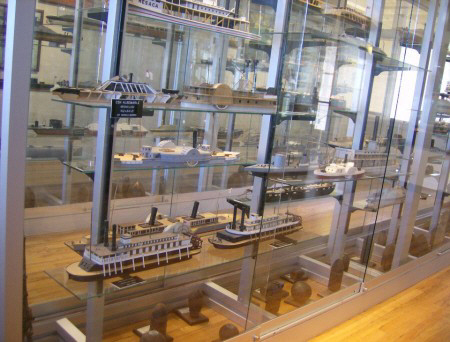 "The Mississippians," highlights our unique collection of model ships named after Mississippi, Mississippians, and places in Mississippi. "Life on the River" shows different types of civilian craft that have operated on the Mississippi River and other inland rivers throughout the nation and our history.